Hi there and happy Wednesday! 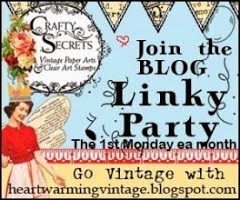 It is time for another fun blog hop with RRR . You should have made your way here from Heather's blog . 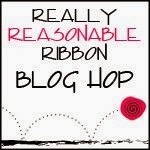 If not, head on back to the RRR blog so you don’t miss out on any of the fun. This month's ribbon picks are called Winter Carnival...a beautiful mix of purples, grey, and pinks. I chose to play with the grey and a bit of the lace in the collection. I made a simple card with two pattern papers and wrapped the grey satin around the smaller of the two papers almost like you would a package and than stitched around the perimeter. I added my bit of lace at the bottom. I added flock to my wood snowflake which is hard to see. It added a sweet softness to it I think. From there a bit of layering with a fun berrylicious button. I topped that off with a little diecut banner with my stamped sentiment and was finished. I love the grey with the pinks....one of my new fave color combos. Hope you enjoy...your next stop along the hop is with Bonnie. Have fun and get inspired! So behind on things....and November is almost half over! Tis the season to make many many Christmas cards. I created these using some yummy RRR ribbons. Just to alert you too....RRR is having a store sale until the 14th....better meander over there and do some shopping. I think ribbons would make the perfect gift for a crafter....display them cute in a container with some buttons and other goodies. I know I would love something like that! It is that time of year to get the ball rolling on Christmas cards...and what better way than to start with some sumptuous RRR ribbons, paper, and a couple of kraft bases. I love the natural look of kraft and it goes with every color. I really love to fuss up my envelopes especially this time of year! This project makes a pretty Christmas greeting and a gift all in one! I used a vintage crochet angel for my main image on my tag and gussied it up more with some washi tape, wood heart painted and distressed from etsy, some yummy kiwi fruit buttons, and few other little items. I topped my tag off with May Art 1/8 diagonal stripe ribbon in red and some lipstick red seam binding. The envelope has more of the seam binding along with bakers twine in peppermint and some lovely white crochet lace. New Cupcards kit Be Merry!